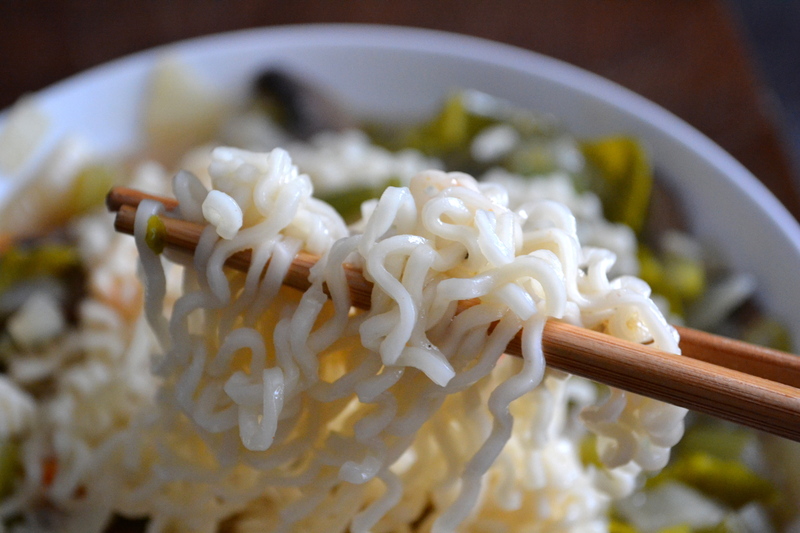 I love ramen but I don’t eat it much anymore, knowing it is really just delicious junk food loaded with msg. Even with a cracked egg, fresh spinach and hot sauce, it’s a guilty pleasure. The first time it occurred to me to make my kids homemade ramen was while watching Ponyo. Such a great movie! It was during that scene when they’re soaking wet, having driven up to their house through a horrific storm and the mom (voiced by Tina Fey) makes the kids some ramen. Yes! I remembered. Ramen is total comfort food! 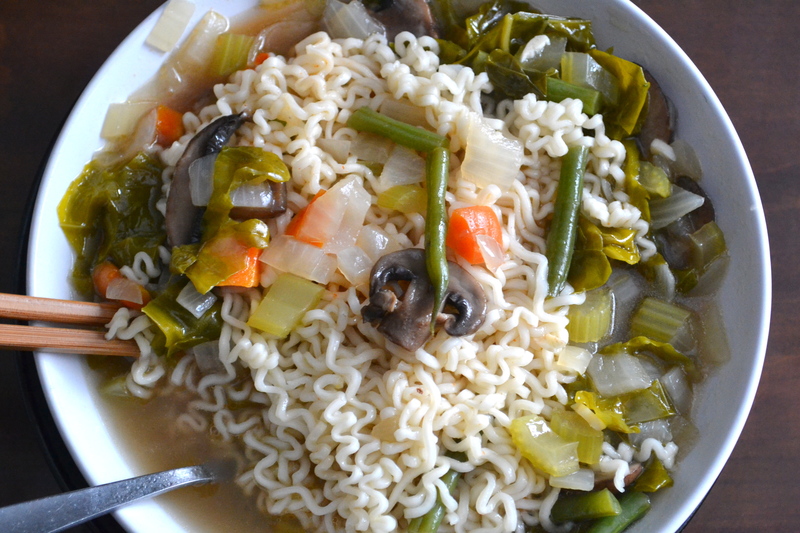 These days we call any clear-broth vegetable soup with noodles and some soy sauce ramen. This is not really a ‘recipe’, more of a suggestion for making an easy, comforting, nutritious soup without the sodium and msg from a packet. It’s certainly not an artful or elegant soup with ingredients like lemongrass or shitake mushrooms or watercress. Whatever you have, throw it in. If you have picky children, chop the veggies very small and keep the ingredients simple. Over time they will recognize only that they are having yummy ramen and not fuss about any new vegetables that have been added. 1) In a medium sauce pot, heat up olive oil and add all the chopped veggies. 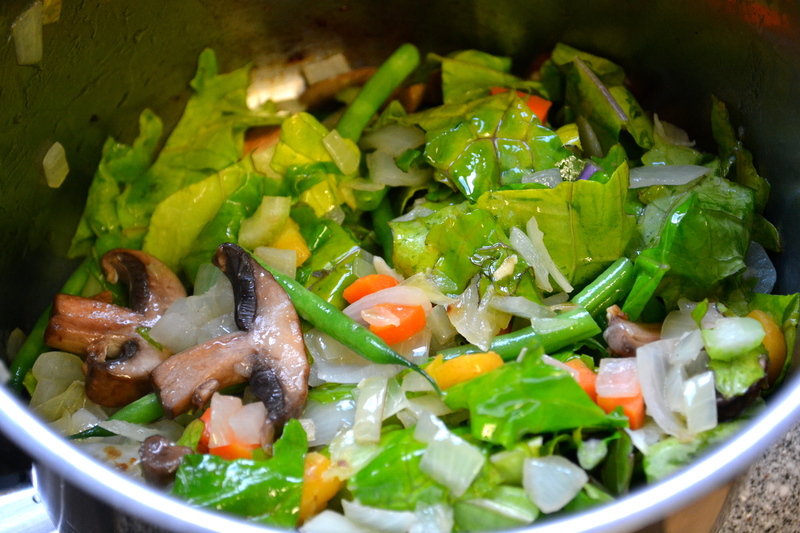 Turn the heat down, put a lid on and simmer until the vegetables are tender. About 10 minutes. 2) In a separate pot, cook the noodles according to the packet instructions. Don’t over cook them as they will likely cook a little more in the hot soup later. 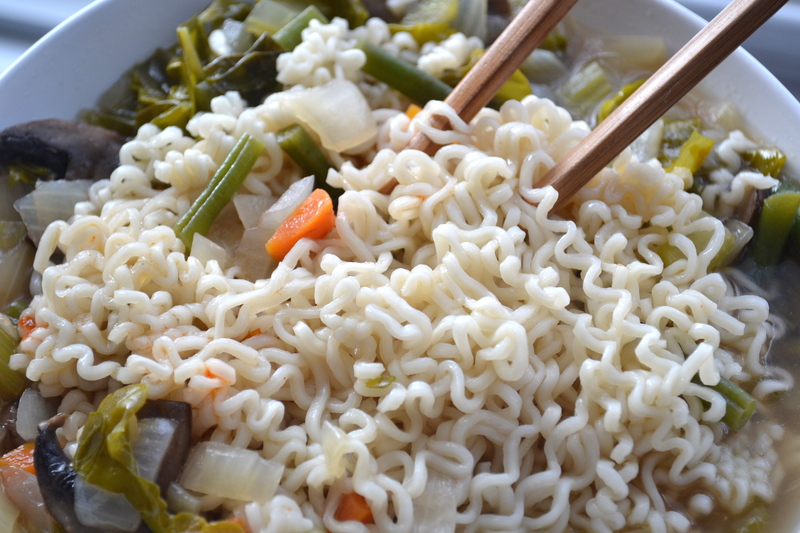 I like to use the traditional long curly ramen noodles as they are so much fun to eat and the kids love em. Drain the noodles and set aside. 3) If using vegetable stock or water mixed with a veggie bouillon cube, add this to the vegetables or use plain water as I did. Enough water to cover the veggies and then some. Vegetable stock will not need very much extra flavor, just a little soy sauce and pepper. If using water, add salt, pepper and soy sauce (about 3-6 tbs). 4) Cover with a lid, bring to boil, then turn down to simmer a few minutes for the flavors to come out in the broth. Taste and adjust seasoning if need be. 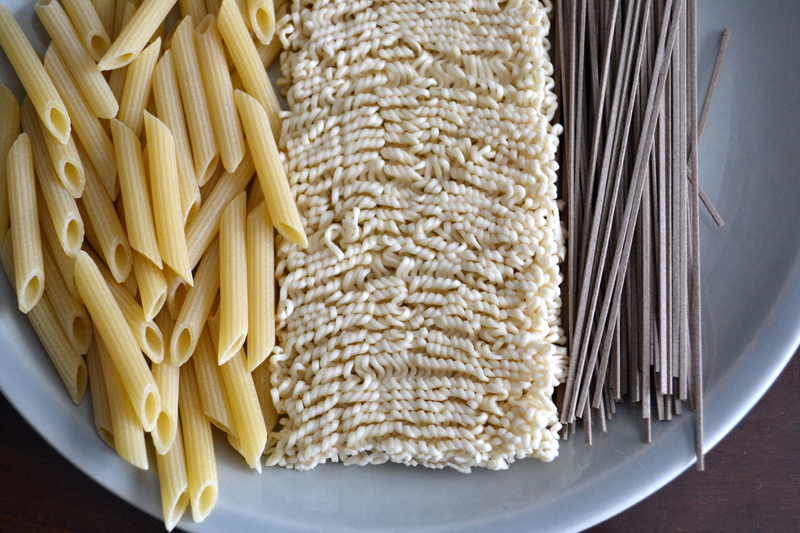 Put a portion of noodles into individual bowls and ladle in the soup. Sprinkle with spring onion, chives or cilantro. Serve with a hot sauce and sesame oil.